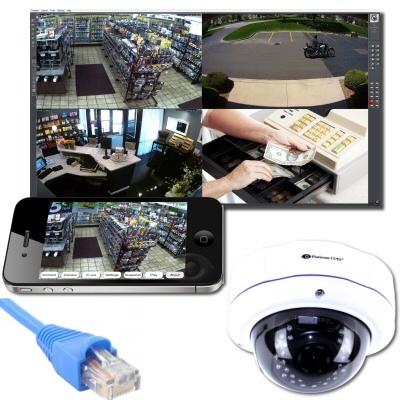 HD IP Cameras are the most popular camera selection for new business security camera installations. These versatile security cameras provide HD resolution (5-10 times the resolution of traditional analog), and require only CAT-5 or CAT-6 network cables to be run to each camera. This makes installation easier and faster. Each of the following systems include either our AVM NVR software, or our MicroNVR server (optional) with HD IP Cameras.